Powerful techniques for strengthening your marriage! The stresses and strains of life can unravel the tight bond you once had with your spouse, leaving you feeling lonely, frustrated, and unfulfilled. 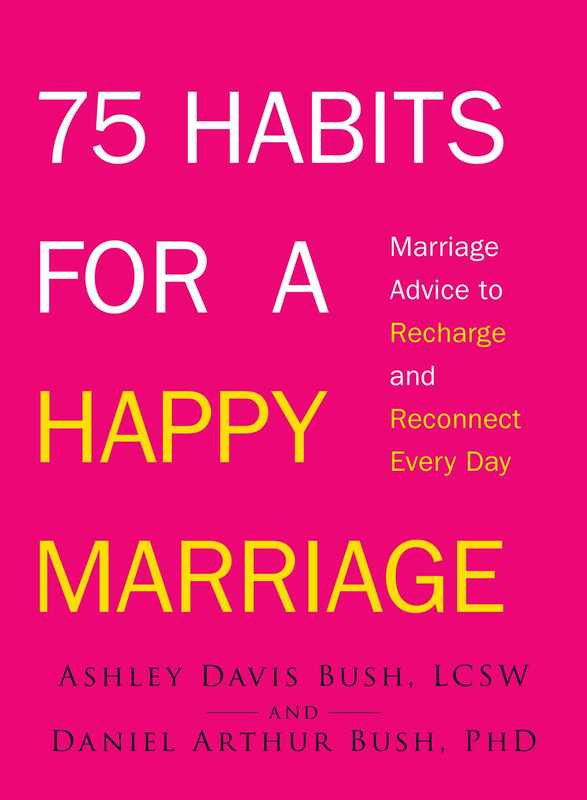 75 Habits for a Happy Marriage shows you how to restore that intimate and joyful union with simple, positive actions that bring you closer together throughout the day. Designed by authors Ashley and Daniel Bush, each activity takes only a matter of minutes and gives you a moment to set aside the demands of your career, finances, and chores in order to focus on what matters most--your love. When practiced consistently, these powerful behaviors will become lifelong customs and an important part of your daily routine, ensuring that your relationship continues to grow in the right direction in the years to come. From embracing each other for at least twenty seconds after work to touching your partner during dinner, these valuable habits will instantly boost warm, passionate feelings and help you maintain that loving connection even when managing a crowded schedule. With the guidance and practices detailed in 75 Habits for a Happy Marriage, you will enrich the bond you share with your partner and build a happy, supportive, and long-lasting marriage.